I. LOVE. My new Phil Barone soprano saxophone! I mean, I seriously dig this horn. When I sold my vintage Yamaha YSS 62 “Purple Label” a couple years ago, I went into a period of minor mourning. But the tax man required money, and for as long as I had owned the horn–since the mid 1980s–I hadn’t played it much. Practicality won out; the sax went on eBay and got snapped up. I doubted I’d ever be able to afford another soprano sax of its quality, even used. The loss became more apparent as the band I play in, My Thin Place (MTP), has prioritized ECM-style tunes that call for the soprano sound. I’m primarily an alto man, and MTP plays plenty of tunes for which alto is the right voice. But when it comes to our originals and numbers like Oregon’s “1,000 Kilometers” and John Abercrombie’s “Timeless,” the soprano is the better fit–in some cases, the only fit. So now what? Enter–and huge thanks to–my friend and fellow saxophonist Michael Doyle (Evidence; Big Band Nouveau). Recognizing my need to supply the appropriate voice for MTP, he volunteered his Mark VI. “Hang onto it,” he told me. “Just get it to me when I need it.” That was way beyond gracious of Mike, and it was our arrangement for a year or more. But realistically, I needed a horn of my own. I just didn’t have the money. Self-employment as an editor and writer is a roller coaster, and when the checks come in, they’re usually spoken for. When I felt I could responsibly purchase another horn, I would do so. But that time wasn’t now, and I didn’t know when it would be. Well, that was a question I hadn’t considered lately. A nameless benefactor wanted to buy me a horn? Really? Yes, said Dave. West Michigan has its share of arts patrons, and he had approached one of them on my behalf. So, how much? Whoever it was that was being so gracious toward me, I didn’t want to overreach on his or her generosity. I named an amount: two thousand dollars–hesitantly, because it seemed like an awful lot of money. It was an awful lot of money. But in the world of saxophones, I believed it was practical yet conservative. Then I started shopping online. Ouch! Man, those little stinkers are pricey! Had I underestimated? True, you can buy a Chinese horn for a couple hundred bucks, but do you really want to hang your sound on such an instrument, particularly when it’s going to play a defining role in the band? Two grand, on the other hand, ought to buy me something decent. Maybe not in the same league as the vintage Yamaha I had parted with, but certainly a good horn of a quality one could count on. I just needed to ask the Lord to guide me to it, and I needed to do my homework. All fine and well–but really? Were the horns as good as all that? Based on what I read on Sax on the Web and elsewhere, player after player seemed to think so. The reviews weren’t merely positive–they were consistently rave. Saxophonists were loving these horns, preferring them even over their Yamahas and Selmers. I checked out some YouTube demonstrations and was impressed. The intonation–an obvious concern with soprano saxophones–was good, and the sound seemed clear and consistent. Given a reasonable trial period, what did I have to lose? I ordered a nickel-plated model and eagerly awaited its arrival. I was in the throes of a terrible cold when the saxophone arrived, so I wasn’t in shape to take it for a test flight immediately. I was barely up to feeling excited–but excited I was, nevertheless. I unboxed the new arrival and, with some trepidation about what I would find, opened the sturdy black hardshell case. It was also well packaged, with pads and keys clamped snugly and all separate pieces wrapped in plastic. Those included, besides the main saxophone body, both a curved and a straight neck, a neckstrap, my choice of one of Phil’s $200 mouthpieces (included in the purchase price), and a basic ligature. Removing the plastic, I inspected the instrument visually. The finish was flawless–not a rough patch or defect anywhere that I could see. Just sumptuous gold engraving against a smooth, silvery dark nickel lacquer on a sturdily built instrument. My gosh. If this horn’s sound and performance matched its appearance, then I had just gotten a very sweet deal indeed. I’d have to wait to find out, because physically I just wasn’t up to playing a wind instrument. But so far, visually, this soprano had just taken my breath away. By the next afternoon I had crossed the hump with the cold, and I could wait no longer. I had to know. Grabbing the new soprano, I headed out to Charlton Park east of town–a riverside location where I love to practice–and I assembled the horn and blew my first notes. Forty-five minutes later I was on the phone with Phil Barone. I wanted to tell him personally how delighted I was and thank him for making such a marvelous instrument accessible to me. That was back in late April. It is now mid August. Having had some time to familiarize myself with this saxophone, I can tell you that I no longer feel the loss of my vintage YSS 62. That was a wonderful soprano saxophone, but this new horn surpasses it. It is everything its maker claims. Its lovely tone is consistent throughout the range of the instrument; it is solidly built, with intuitive ergonomics that allow my fingers to fall naturally in place; it is responsive, mechanically deft, and has excellent intonation. It most certainly plays as beautifully as it looks–and that is saying a mouthful. I am proud to own this horn and very grateful to the person who saw fit to bless me with it. The new Barone is inspiring me to do something I never did with my old Yamaha: spend serious time practicing the soprano sax, learning its nuances and getting a feel for my sound on it. I’ve come to appreciate how very different in temperament it is from my alto saxophone. My Conn 6M alto is a golden-toned, swashbuckling, exuberant instrument that will take as much air as I can give it, and it resonates in my hands like a living thing. This soprano is a lady with a soft, pretty voice, and she’s at her best when I treat her as such. Due to its smaller size, the soprano is a more temperamental instrument than the alto and tenor saxophones, and intonation can go out of whack in a hurry. Using new, crisp reeds makes a world of difference for playing in tune, and getting the right mouthpiece/reed setup is crucial. The Barone 7* vintage mouthpiece that came with the horn proved to be too ambitious for me. That was my fault. Barone mouthpieces receive stellar reviews, and this one is what I ordered. But in my ignorance about the soprano, I overestimated what I needed; a smaller tip opening would have served me better. I have yet to try using a softer reed–a #2, possibly even a #1 1/2. I’m not a fan of soft reeds, but I’m still in the learning curve with the new soprano and am game to try different options. My present mouthpiece/reed setup pairs a considerably more moderate Yamaha 4C mouthpiece with a Rico Royal #3 reed. The sound I get with this combination is clear and consistent, and the intonation is great throughout the range of the horn. Still, it will take some time before I feel confident about what setup I want to settle into. The close tip opening of the 4C is at the opposite end of the spectrum from the wide-open Barone 7*, and I’d like to be able to move a little more air. A half-size stronger reed might be the solution. As well, given the affordability of Yamaha mouthpieces–around thirty bucks a pop–I plan to pick up a 5C and see how it performs. I’ll also replace the cheap ligature with something more refined. And at some point, I’ll make a pilgrimage to one of the saxophone shops in Detroit or Chicago and spend an afternoon trying out pieces. For now, though, the 4C is working well, wonderfully so for the price. My old Yamaha was a solid-body straight soprano. The new two-piece Barone gives me the option of using either a straight or a curved neck, depending on my mood. I’ve gravitated toward the curved neck. It puts the horn in a more comfortable position . . . which makes it more enjoyable to play . . . which means I practice it more. Indeed, I’ve become a junkie. My beloved Conn 6M alto is probably feeling neglected lately, because the Barone soprano is such a pleasure to play. Moreover, based on the comments I’ve gotten from the guys in the band, it is turning out to be a superb voice for our unit. I wouldn’t own this marvel of a horn were it not for the generosity of three people. One of them I know; one of them I have a feel for; and one of them is a mystery. To Dave DeVos: Thank you for seeing my need for a soprano of my own, thinking of a solution that never would have occurred to me, and inquiring on my behalf. To Phil Barone: Thanks for putting such a superb brand-new instrument in my hands at so affordable a price. Last, but by no means least, to my Unknown Benefactor: Thank you for donating the purchase price of this horn. You sounded no horn of your own in doing so. You just quietly made my world a better place. I hope you’re one who sits often among those who enjoy My Thin Place, and when you hear the soprano, I hope it makes you smile. In addition–Mike Doyle, thanks so much for generously volunteering the use of your Selmer Mark VI soprano, no strings attached, during the time when I was without. I call that exceptional of you. Generosity is a beautiful thing, particularly in a culture so focused on self and on getting. In my own life, I’ve found that God rewards generous deeds in the oddest, timeliest, and sometimes most striking ways. I’ve never put stock in the so-called “prosperity gospel”; I don’t believe faith is about sticking a buck in the vending machine and getting ten bucks back. But I do believe “God loves a cheerful giver.” Generosity is in proportion to one’s means, and one of its earmarks is the satisfaction, even the joy, that a generous act releases in the heart of the giver. It’s about the motive. Generosity is its own reward. And yet, God takes it further and honors it in unexpected, practical ways. Mike, Dave, Phil, and my Anonymous Benefactor: May the Lord honor each of you for your generosity. Phil Barone soprano saxophones provide tremendous bang for the buck, even twice the buck. It’s safe to assume the same is true of Barone alto and tenor saxes. If you’re in the market for a new saxophone, you’ll do yourself a great service by looking into Phil Barone horns. Read the reviews. They’re impressive and they’re trustworthy. This post is my own unsolicited and unpaid review, and it’s my pleasure to write it. Phil came across to me as a brisk, down-to-business guy; he isn’t a talker on the phone. But his horns do his talking for him. If you buy one, I’m confident that you, like me, will be delighted. What? Another Stormhorn post so soon? Yes, I’m on a roll. This post is a continuation from the last post, which offered a couple practical exercises on angular playing using pentatonic scales. As I promised in that post, this next one explores the relationship between pentatonics and altered dominant harmony. But as with the previous post, my objective here is not to go all theoretical on you but to offer a few practical exercises for developing facility with pentatonics in the V7 alt context. Still, for these exercises to make sense, a bit of theory is necessary. By altered dominant, I’m referring to the V+7(#9) chord, otherwise known as the V7 alt. Jamey Aebersold long ago introduced the simpler spelling V7+9, and since that’s the one I’m used to and it’s convenient, that’s the spelling I’ll use. The chord is called “altered” because very little about it–just the root, third, and flat seventh–is unaltered. The fourth and fifth are both raised a half step, and both sharp and flat ninths are included. The scale of choice for the V7+9 chord is the diminished whole tone scale (dim WT). It is actually a mode of the melodic minor scale built on its seventh degree. For example, a B dim WT is built off the C melodic minor scale, thus: B, C, D, Eb, F, G, A, and octave. Within the dim WT scale lies a single major pentatonic scale built on the scale’s tritone (augmented fourth). * So, again using the B dim WT as our model, the resident pentatonic is F: F, G, A, C, D. These notes constitute all the scale’s altered tone plus the flat seventh, thus: +4, +5, b7, b9, #9. For me, the question is, how do I relate the sound of a major pentatonic scale to an altered dominant whose root is a tritone away? It’s not a sound that sticks readily to my ear. The four exercises shown here–licks, really–are designed to help you drill your fingers and ears on the dominant chord and corelate them to the pentatonic scale. To my thinking, at least at this stage in my development, I want to resolve the pentatonic scale to one of the basic chord tones, and I want to have those chord tones–the root, third, augmented fifth, and flat seventh, always in mind. To that end, the first exercise introduces a motif I also use in the rest of the exercises. It focuses on the lower part of an A7+9 chord, starting with the sharp and flat ninths and then establishing the third and the root. Following that little four-note figure is a well-known pentatonic lick based on the tritone, Eb. Finally, the exercise resolves to the root of the chord. Exercise two starts with the pentatonic lick, then arpeggiates the A7+9 and explores the dim WT more fully, and concludes with the four-note motif, described above, resolving to the sharp five of the chord. The third and fourth exercises, now focusing on the D7+9, begin with the motif, then move into more angular versions of the pentatonic scale. Note that in the fourth exercise, I’ve opted to focus on the F minor pentatonic. It is the relative minor of the Ab major, so none of the notes involved have changed; it’s just a different way of thinking about the pentatonic scale. I recommend that you spend some time with each exercise in just the key it’s written in, playing it slowly and trying the absorb the sound of the pentatonic scale in relation to the sound of its parent dim WT scale and the V+7 chord. Then work at memorizing each lick in all twelve keys. That’s it. They rest is up to you. I wish you fun and fruitful practicing. ERRATUM: In exercise four, the first note in the second bar should be an Ab, not an A natural. With this post finally put to bed, I don’t have the patience to spend the time required (more than you’d believe) to add a lousy little flat. So kindly make the adjustment mentally. * You could argue that there are other pentatonics that also fit the altered dominant chord. True, but they’re all modified in one way or another. The only natural major pentatonic that derives from the diminished whole tone scale is the one I’ve described. When was the last time I shared a practical exercise for jazz improvisation on Stormhorn.com? It has been ages, hasn’t it. So let me rectify that as best I can by giving you something substantial to chew on, or better yet, to take to the woodshed with you and work into your fingers and your playing. Lately I’ve been revisiting pentatonic scales, with an eye on two things: (1) their usefulness in angular playing, and (2) their relationship to altered dominants. I’ll look at item two in a future post. Right now, let’s turn our attention to pentatonics as a source for angularity–that is, breaking out of the linear, scalar mode of playing by using broader intervals, particularly fourths, to create novelty and interest. You can think of a pentatonic scale as a major scale (or a mixolydian or lydian mode) with a couple teeth knocked out. The fourth and seventh scale degrees are missing, creating a five-note scale with a couple built-in gaps. Those two gaps, as you begin to work with intervals in the scale, create broader leaps, and angularity arises naturally. Both exercises are built off of the relative minor of the Eb major pentatonic scale. I’ve assigned them to the C-7 chord; however, you can also use them with the EbM7 and Eb7 chords, as well as a few other chords which I’ll leave it to you to work out in your head and your playing. My concern here isn’t to deal in depth with theory and application but simply to give you something you can wrap your fingers around. You can trust I’m doing my best to gain command of them too. We’re traveling this path together. Practice diligently–and, as always, have fun! Greetings, friends! My postings in Stormhorn are admittedly sporadic these days, but this blog is still very much alive. Storm chasing this year has been nonexistent for me, but that’s no surprise; it has been a lousy storm season for chasers across the board, even for those who live in Tornado Alley. But the musical side of things is going strong, and I’ve got a few practical ideas to share about pentatonic scales, altered scales, and their relationship. I just need to make the time to transcribe them and put them in print. Guitar instructor Marc-Andre Seguin, however, has got some perspectives that are ready at hand to share. Perspectives from instrumentalists other than saxophonists such as I are most welcome; we can all learn from each other, and beginning jazz instrumentalists of every stripe can profit from Marc. His bio follows at the end, so I’ll spare you a lengthier introduction and hand the microphone over to him. Starting out on jazz guitar isn’t easy. The intricacies of the jazz language can seem insurmountable without direction. Here are a few tips to get you started on the path of jazz guitar mastery. Without even picking up the guitar, it’s important to constantly listen to jazz recordings. Simply by hearing this style, many concepts are internalized, such as rhythm, phrasing, harmony and improvisation. Great recordings are available from legendary guitarists such as Joe Pass, Wes Montgomery, Kenny Burrell, to name just a few, and they should be constantly playing in your ears. But don’t stop at guitarists. It’s crucial to listen to other instruments as well. John Coltrane, Charlie Parker, Miles Davis, Bill Evans, Thelonious Monk, and others have made immense contributions to the style. So vary your listening habits to include these and other major contributors to the language. Playing jazz involves muscle memory and good reflexes, and these are cultivated in the shed. Although the genre is often intellectual, most improvisations rely on unconscious movements to make the connection with our inner ear. It’s important to have a solid foundation on which to build our musical messages. Following are some simple approaches to practicing chords and scales. There’s a simple approach to mastering the many voicings for guitar: start small and build up your chordal database little by little. Root forms of chords are the building blocks to more complex and extended variations. These forms can be learned starting from the sixth and fifth strings and, once memorized, can be practiced by reading out the chords of a standard. There are four main chord types to learn: the major 7, dominant 7, minor 7, and minor 7b5. With these barebones varieties, you’ll be able to play most of the jazz repertoire. Once you’ve memorized chords, you’re ready to apply the correct scales over them. Scales require a relatively large investment of time to learn, since there are multiple positions of the same scale all along the neck. The easiest approach is to methodically learn each scale and keep it in your fingers for an extended period until it becomes second nature. To progress quickly, constantly learn new material. The more you explore the genre, the more fluent you will become in its language. Here are aspects in which you should invest your time. Work at memorizing the hundreds of tunes that make up the standard repertoire of jazz musicians. Most are older, popular tunes from the “American songbook” that jazz instrumentalists have adapted to fuel improvisations. Learning them is not as daunting as it sounds; many are contrafacts: new melodies played over the chord changes of a popular song. “I Got Rhythm” is a classic example: many jazz standards use “rhythm changes” (as jazz musicians call them) for their harmony. Others are based on the blues grid, and that’s where I suggest you start. The simple heads (melodies) and chords of tunes like “C Jam Blues” and “Blue Monk” are perfect for beginning improvisers. And blues in minor keys provide a good introduction to other types of chords. A few other well-known standards that most beginners explore first are “Autumn Leaves,” “All the Things You Are,” “Blue Bossa,” and “Summertime”—and the list goes on. Learn the melody and the chord changes, then start improvising over the chords. A classic way to absorb jazz vocabulary is to learn different licks from your favorite players. The classic, extremely profitable approach is to listen to their recordings, pick a lick you like, and then work at playing it yourself till you’ve got it right. A simpler way is to search the internet and your local bookstore for books of licks and patterns. Choose a lick, learn it in different keys, and start playing it over the standards you’re learning—and, eventually, in different positions on the guitar. The more such phrases you assimilate and begin to mix and match, the deeper will become your understanding of jazz mechanics. Learn entire solos. If you are up to it, you can transcribe your own. Doing so is a complete jazz workout that will greatly enhance your abilities. The more you transcribe, the better you will get at it. If you’re not up to transcribing, the internet is full of written solo transcriptions. Take advantage of them. Memorizing whole solos will show you how the pros and legends develop a jazz improvisation and how they navigate chord changes. You don’t need to stick to guitar solos, but they’re a good place to start. Some saxophone, trumpet, and piano solos can be quite hard to adapt to the guitar; however, they’re extremely valuable learning tools. If you have like-minded friends nearby who love playing jazz, get with them. I spent countless hours jamming with fellow students during my musical studies, and it was probably the most enriching experience I’ve had. Teaming with another guitarist or a bassist is an easy way to start, and you can share ideas and concepts. Playing with horn players will make you work on comping and solo playing, and playing with a pianist will force you to explore a more minimalist direction and creative ways of complementing the music. There are many concepts to internalize in jazz. Gather information about them from various sources. Take everything at a steady pace, work your way slowly but surely through what you learn, and you’ll be surprised sooner rather than later at how it all falls into place. Happy practicing! Marc-Andre Seguin is the webmaster, “brains behind,” and teacher at JazzGuitarLessons.net, the number one online resource for learning how to play jazz guitar. He draws from his professional experience both as a jazz guitarist and an instructor to help thousands of people from all around the world learn the craft of jazz guitar. Today marked the turning point of sunset time. Yesterday was the year’s earliest sunset; here in Hastings, Michigan, it occurred at thirty-eight seconds past 5:07. Henceforth, beginning this evening, sunset will occur later and later every day. The change is incremental at first. Today the Sun set only a hair’s breadth later than yesterday. My sunrise/sunset chart still shows the same time, 5:07:38, but twilight lingered two seconds longer–hardly a noteworthy difference except that it’s the beginning of seasonal change. Meteorological winter is already underway; it began on December 1. Now we’re moving toward astronomical winter, and the changing of the guard has begun. Winter solstice is still thirteen days away. On that date, December 21, the span between sunrise and sunset will be at its narrowest and daylight time at its shortest. But already the Sun will be setting later and later. On the 21st it will set at 5:11 in my town. However, until then it will also continue to rise later and in slightly broader increments, so that the gap between sunrise and sunset will keep narrowing from now till the 21st. After that, although the Sun will still rise earlier and earlier through January 2, it will do so by comparatively smaller increments, and the accelerating lateness of sunset time will begin to outstrip the braking lateness of the sunrise. Sounds complicated, but it’s a simple concept, and if you saw it on a graph, you’d get it right away. In a nutshell, the days of the latest sunrise (January 2) and the earliest sunset (yesterday evening) are out of sync. December 21, winter solstice, is when those two times are closest; hence, it’s the “shortest day” of the year. Wow! More than a year has passed since I’ve posted in this blog. So much has happened, some of which amounts to a veritable sea change in my life. But I’m not going to get into that here. Relevant for Stormhorn.com is this: the site’s URLs, which acquired an unwarranted and unwanted prefix when I was forced to switch from my superb but now defunct former webhost to Bluehost, are now fixed, and this blog is properly searchable and functional again. * Already, in just a couple days, I’ve seen three sales of my book The Giant Steps Scratchpad, and hopefully this site can once again gain some traction as both a jazz saxophone resource and a chronicle of my obsession with storm chasing. As the dust began to settle from a painful but beneficial transition, I found myself with the wherewithal to finally chase a bit more productively and independently than I have in a long time. It felt wonderful—wonderful!—to hit the Great Plains again in a vehicle that is trustworthy, economical, and comfortable for driving long distances. Kansas, Nebraska, South Dakota—hello, old friends. It was so good to see you again at last, such a gift to drive your highways and take in your far-reaching landscapes . . . and yes, to exult in your storms, your wild convection that transforms your skies into battlegrounds of formidable beauty. It is a long drive from Michigan to tornado alley, eight hundred miles or more just to get to the front door. Ironically, I could have spared myself most of my first trip. It landed me in Wichita overnight, then on to chase the next day in southwest Kansas and northeastward almost to Salina. No tornadoes, though. They were there, all right, but I was out of position and uninclined to punch through a bunch of high-precip, megahail crud along the warm front in order to intercept potent-looking (on the radar) but low-visibility mesocyclones. Two days later, though, on May 20 in northwest Indiana on my way back home, the warm front was exactly the place to be, and I filmed a small but beautiful tornado south of Wolcott. It was my one confirmed tornado of the year. A few weeks later I hit the northern plains with my friend Jim Daniels, a retired meteorologist from Grand Junction, Colorado. It was his first chase, and for me, one of the blessings, besides the good fellowship and opportunity to build our new friendship, was introducing someone to chasing who already had his conceptual toolkit assembled. No need to explain how a thunderstorm works or how to interpret radar—Jim’s a pro; I just handed him my laptop, let him explore the tools, and we were ready to rumble. Then came August and a shot at severe weather right here in Michigan. I tagged along with a slow-moving, cyclic, lowtop supercell with classic features through the western thumb area of the state. It was nicely positioned as tail-end Charlie, sucking in the good energy unimpeded. A little more instability and it could have been a bruiser. As it was, it cycled down to the point where I thought it was toast, just a green blob on GR3, at which point, faced with a long drive home, I gave up the chase. Naturally the green blob powered back up and then spun up a weak twister ten or fifteen minutes later. I didn’t mind missing the tornado. Well, not much. I had chased about fifty miles from Chesaning to south of Mayville, about two and a quarter hours, and gotten plenty of show for my money—rapidly rotating wall clouds, a funnel or two, and some really sweet structure of the kind you rarely see in Michigan. Then on the way back, as a cold front swept in, the sunset sky was spectacular. Waterspout season has also come and gone, and I hit the lakeshore a number of times. One of those times was fruitful, and I captured some images of a couple picturesque waterspouts out at Holland Beach. They were all the more interesting because they occurred southwest of a clearly defined mesocyclone. But I’ll save that and a pic or two for a different post. It deserves a more detailed account, don’t you agree? Stormhorn.com is about jazz saxophone and improvisation as well as storm chasing. So if jazz is your preferred topic, stay tuned. It’ll be comin’ at ya. Got a few patterns and licks to throw at you that I think you’ll enjoy. That’s all for now. Stormhorn.com is back in the race. * The one exception is the photo gallery. Photos in individual posts work fine, but the links on the photos page don’t work. Also, formatting is messed up in the text of a lot of older posts. So I still have some issues to work through with BlueHost. I’ll probably have to pay to get the image gallery working right again; hopefully not so with the formatting stuff. If you vote for Clinton/Trump (pick one), you’re not a Christian and you’re not my brother or sister. You’re my enemy. Not voting is actually a vote for the other candidate. * Therefore you’re my enemy. Voting for a third party or a write-in is a wasted vote. It’s pretty much the same thing as option two, so once again, you’re my enemy. Lots of enemies out there, according to the above logic. I’m afraid a lot of us who call ourselves Christians are going to be become tremendously embittered against other Christians—except, of course, those “other Christians” aren’t really Christians. If they were, they’d see things our way. The right way. God’s way. That is a tall, tall order. Thankfully, most of those whom we consider enemies because their politics and priorities differ from ours are nothing like the Romans of Jesus’s day, or the Nazis of yesterday, or ISIS today. If you were drowning, your “enemy” would throw you a lifeline, and you’d do the same for that person. The truth is, many of those “enemies” are in fact brothers and sisters in Christ. Granted, an awful lot of people who call themselves Christians are not Christians, and some truly do behave in hateful ways. But that still leaves countless followers of Jesus who simply see things differently from us, and our vilifying them may say more about the condition of our own heart than theirs. What if the one who acts most like an enemy is us? The Scripture quotes above are the words of two men whose motives were utterly trustworthy and untainted by any political self-interest. Their statements don’t require fact checking; you either believe them or you don’t. The question is, do you believe them—and in this political season and following, will you do your best to adhere to them? That doesn’t mean you can’t feel strongly and even indignantly. But will you guard your heart? Because in this world, intense sentiments all too easily step across the line and become self-justifying hatred. Remember: The real battle isn’t about who will sit in the Oval Office. It’s about whom you will allow to control your heart. * Actually, it’s a vote of no confidence in either candidate. But let’s briefly consider this thinking of “Not voting is a vote for the other candidate.” Some of my friends like Trump and others support Hillary. So which “other candidate” would I be voting for by not voting? Both, apparently. Since it’s a self-cancelling exercise, the impact on either side is precisely zero. I’ve never thought deeply (or much at all) about the subtle nuances of different microphones for recording the saxophone. Not, that is, until the other day, when veteran recording engineer Robert Reister invited me to participate in a microphone s hootout at his Fast Trax Studio in Jenison, Michigan. Fast Trax has been around for a long time—1986, to be precise. A lot of musicians have gone through that studio, and a lot of music has been made there. I participated in one or two projects myself in days of yore. But they were way, way yore, and I hadn’t seen the inside of Rob’s studio in a couple decades. So it came as a pleasant surprise when Rob connected with me back in December and invited me to bring my sax over after the holidays and try out some microphones. Some microphones indeed! All top end, including a few vintage mics such as the RCA 77DX I’m blowing into in the photo. There were ten in all, which Rob ran through two different cutting-edge preamps for a total of twenty takes. Shooting for consistency, I played the head to Coltrane’s “Mr. P. C.” twenty times over—not the most creative saxophonistry, perhaps, but that wasn’t the point. This was an engaging project: plenty of fun laying down the samples tracks, and an equal amount of interest in listening to them afterward. You can hear the results yourself in the two videos below. The sound is purely the microphones and the two preamps. No sound processing whatsoever is involved, so what you hear for each microphone is exactly what the mic itself “heard.” It’s the sound-engineering equivalent of camera RAW in photography. To be honest, my ears aren’t that discriminating. I’d be happy recording through any of these microphones, all of which, as I’ve mentioned, have proven track records as studio horn mics. I do, however, have my preferences. What about you? Give the videos a listen. Do you have a favorite, or maybe even a couple mics you particularly like (or dislike)? Please feel free to comment. Your input is most welcome, and I’ll share it with Rob, who I’m certain will value it. 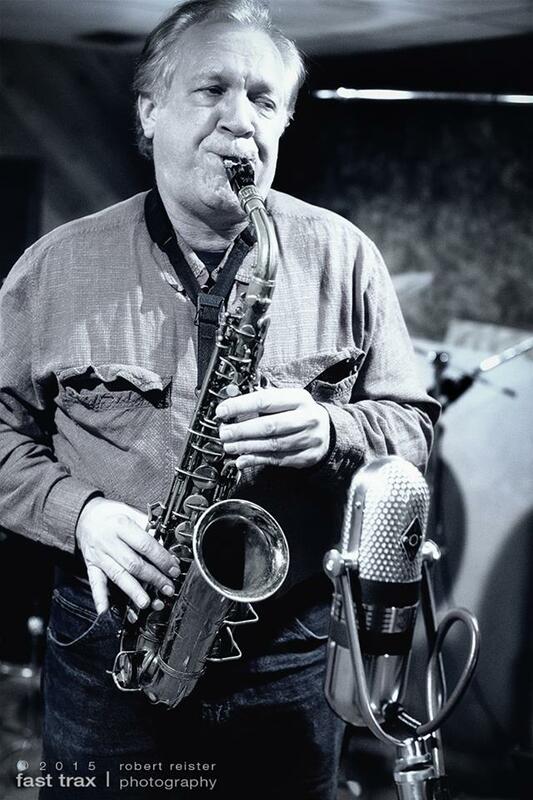 When I got the news last night that Phil Woods had died the day before, on September 29, 2015, I was stunned. Not Phil Woods! Not my main man, my hero on the alto sax whom, among all the luminaries of the instrument, including even Bird and Cannonball, I have admired and learned from the most. Not Phil. But of course, why not? We all go at some point, and Phil was eighty-three and in poor health. He had lived a full life; he had seen a huge slice of jazz history and carved his own considerable niche in that history; he had accomplished things that most musicians only dream of; and in the process, he left a legacy of music richer than the mines of Moria. I first heard of Phil back in my early twenties in music school. I heard him described as a “lyrical” player, and while I didn’t know what the word meant, I determined to find out. So I purchased an album of Phil’s titled I Remember, and “lyrical” acquired meaning through melody and timbre. Here was this beautiful tone, so full of warmth and joy and body, married to an incredible sense of swing. And here was a way with a ballad that just . . . well, I listened to the tune “Paul” over and over and over, mesmerized. The way Phil played it—so beautifully, so sensitively, so full of emotion—moved me to tears. I mean that most truly. Phil Woods could render a ballad with such sublimity and freshness and, above all, sincerity, that I would quite literally weep. His solo on Michelle Legrand’s “The Summer Knows” took my breath away the first time I heard it, and it still does. Lyrical? The word doesn’t begin to describe what Phil Woods could do with an alto sax. But of course, ballads were just a part of what Phil played with excellence. He could cut through the most harmonically complex changes—bop tunes such as “Hallucinations”—at frantic tempos with an ease and inventiveness that left other players, even the most accomplished, in the dust. And you always knew it was Phil playing. There was no mistaking that sound and that approach. I heard Phil play live three times. My most memorable was with my brother Pat, who, when I visited him years ago in Port Townsend, Washington, had made reservations for dinner at Jazz Alley in Seattle. There I sat, dining on steak while Phil and his combo blew incredible sounds from the stage just twenty feet from our table. It doesn’t get any better than that. Now Phil is gone. The man and the horn that blazed their long, meteoric trail across the jazz firmament have flamed out at last. But like Bird, whom he so deeply admired, Phil lit a torch whose brightness burns in the horns of countless altoists worldwide. Phil Woods has many children. I am proud to be one of them. Thank you, Phil. You gave this world much beauty, and you showed the way beyond Bird for alto players like me. Now you reside among the legends. You will be missed. And the music you made ensures that you will never, ever be forgotten. Having dispensed with my rambling prelude, in part 1 of this article, to the question “What is jazz?” let’s get to the question itself. The answer used to be fairly simple, involving such concepts as syncopation, swing, improvisation, and African-American roots. The formats in which those elements played out were fairly straightforward. There was Dixieland. There was swing. There was big band. There was bebop. But wait . . . bebop? In its day, there were those who maintained that bebop wasn’t jazz; it was cacophony, confusion, a bunch of chromatic scales played lightning fast and signifying nothing. “Let them beat their brains out till their flatted fifths are gone, then they’ll pass and be forgotten like the rest,” taunted Louis Armstrong in “The Boppenpoof Song,” but his abilities as a prophet didn’t match his brilliance as a trumpet player. Today no one would seriously contest the prodigious contribution of bop to the evolution of jazz. Then along came Coltrane. Repeat the scenario. A lot of jazz buffs couldn’t stand him. Sheets of sound? Endless modal droning? That ain’t jazz, or so said the purists—then. Today it’s a different story; Trane has a lot of children and grandchildren. The thing called jazz broadened, embraced another icon, and forged ahead. Then came fusion, and more cries of protest. So it went, and so it has gone, and so it goes. Cool jazz, Latin jazz, free jazz, acid jazz, nu jazz, smooth jazz, punk jazz . . . from Miles to Trane to Ornette to Zorn and beyond, the list goes on, and after a while, I feel bewildered and my head hurts. Look, I just like good music, and I like improvisation, and I admire combinations of artistry and skill at a high level, and it gets to where I honestly don’t care all that much about categorizing it. This article can’t begin to cover all the complexities of a subject that so many, many writers have already addressed, and will continue to address, in far greater depth. So in the remainder of this post, I want to share what a few others, both musicians and non-musicians, have to say about the nature of jazz. Nothing definitive, just personal, insightful, and even humorous. I think a lot about jazz, and to some extent why it isn’t popular music (for the most part). But what I’ve decided is that what often passes for jazz today isn’t really jazz. It lacks life and is static, trapped in some other time, much like classical music. Creating in the moment, being true to your own emotions and being in touch with the time and place you live. A willingness to get emotional with the music is so vital. I don’t play jazz. I listen to it and, honestly, feel that much of what is played is not good.. simply copies or ideas of what it should be, rather than it just being musicians who love playing, love creating, know how to listen and being willing to put themselves out there emotionally through their notes and spaces. Great jazz can take you someplace… to another world. It’s not even about the right chords (though it plays a part and doesn’t ‘feel right’ if the player doesn’t know them in his gut). I am a huge fan of jazz music that doesn’t isolate soloists . .. but rather, all the players in the band are part of the solo in some way. They are all listening and knowing when to contribute, like a conversation. Most of all I guess that jazz at it very ultimate is a conversation…. sometimes a soloist has a lot to say, like a monologue . .. but like, in conversation, the others come in and ‘nod’, accent, repeat parts of what was said.. take off on it.. use the idea, the concept (musically). It’s not just a speech… but a conversation. I love Dixieland for the beat.. for the interplay of instruments. I love big band when it’s exciting and the power that can be generated by that many instruments is used effectively… and when it is written so that it is not just one solo after another with no relationship to each other in any way. I love a duo… of whatever instruments are used… when they are playing together.. creating together.. moving the conversation forward Sorry… I could go on and on. I have thought about this a LOT and talked about it a lot, trying to figure out why so many people do not like jazz. Jazz is typically defined by having extended improvisation relative to predefined melodic material: it is further distinguished from the stuff of “jam bands” and blues by harmonic content– ii V I’s, extended chords, elaborate harmonic substitution. Instrumentation is not a factor, as Bela Fleck and many other groups have demonstrated. The boundaries of jazz are (and always have been) designed to be stretched and blurred: third stream, fusion, acid, etc have allowed players to stretch and blend. This symbiosis brings new life to both jazz and to the genre it hybridizes with– some of the best Rock sax solos were dealt down by cats like Wayne Shorter and Sonny Rollins; bringing in guitarists like John McLaughlin and Mike Stern gave Miles an entirely new sound. But improvisation and harmonic content are still the signature elements. Given the interplay of other genres with jazz, the lines get fuzzy, don’t they. Improvisation, for instance, has long been a hallmark of rock as well as jazz (though jazz came first). Yet there’s an obvious difference between the extended improvisations of David Gilmour in Pink Floyd and John Coltrane in his classic quartet; both are masterful soloists in phenomenal groups, yet there’s no question that Floyd is rock and Trane is jazz. However, there does come a point in modern music where it’s hard to say whether you’ve got fish or fowl. You’ve mentioned harmonic complexity, and that one hits the nail on the head for me. Even the supposedly static harmony of modalism in jazz involves a complex harmonic approach not just for the soloist but also, significantly, for the rhythm section, and in particular for the chording instruments (e.g., keyboard, guitar). Once you cross over beyond swing feel into rock and Latin rhythms, it may be the harmony that’s the determinant. Finally, Bob Van Stee alerted me to the following video clip in which Ella Fitzgerald and Mel Torme answer the question “What is jazz?” in their own inimitable way. I can’t think of a more fitting way to cap off this post. Filed Under: Band, Entertainment, Jazz, Music, Saxophone, Uncategorized Tagged With: jazz definition, thoughts about jazz, What is jazz? © Copyright 2007-2013 Stormhorn.com · All Rights Reserved.